First Lady Melania Trump underwent a successful procedure for a benign kidney condition and will remain in the hospital for the remainder of the week, per the White House. Since then we have heard little from Melania and because of this, the past several weeks, there were a lot of speculation and rumors over Melania’s lack of appearance in public. The MSM didn’t waste time and decided to attack Melania for her lack of appearances in the public! Luckily, Melania responded to the many lies flung about the fake news media. The First lady, responded to rampant speculation about her health Wednesday, saying she is actually at the White House. But, this is not enough for the ignorant leftists who are only capable of mocking other people. 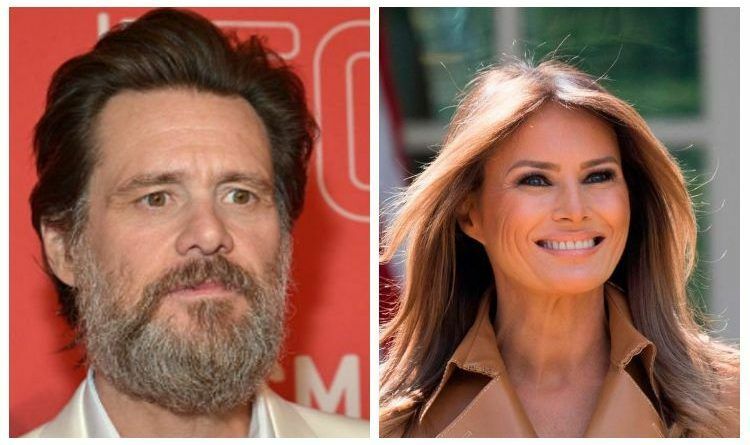 On Sunday, Hollywood actor Jim Carrey shared a portrait on his Twitter account of First Lady Melania Trump. The monstrous picture shows Melania who is still recovering from a recent kidney operation as a mindless captive receiving electrical signals into her brain as well as adjusting her vision. “Don’t worry folks. Melania is fine. They’re probably just reminding her how to play well with others,” Carrey wrote in his tweet accompanying the portrait. Carrey’s most recent drawing put him in seriously hot water with fans, or should we say former fans? 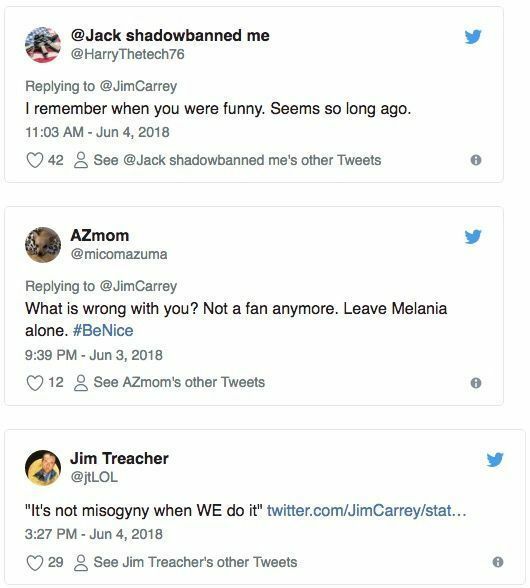 Fans were not pleased with Carrey’s attack on the First Lady. They took to Twitter to let him know how they feel. 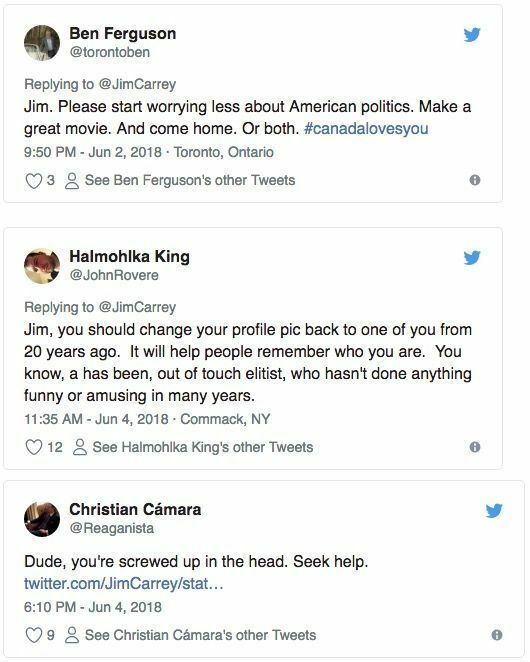 Jim Carrey should be ashamed of himself. If someone painted a portrait like this of someone on the left the media outrage would be downright hysterical! I never dreamed the tolerant liberal left could be so mean and vile. Just pure wickedness. This is how the liberal works. They lie and make fun of everybody that doesn’t think like they do and then say the right wing is the ones that do this. We have got to keep these evil people powerless. By doing so, the country can finally begin to move forward. What do you think of Jim Carrey’s portrait of Melania Trump?